These cables are flame retardant, low smoke, halogen free and mud resistant, used for fixed installation for medium voltage power. 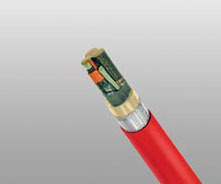 Conductors : Circular tinned annealed stranded copper to IEC 60228 class 2. Conductor Screen : Semi conducting material. Insulation : Halogen-free EPR. 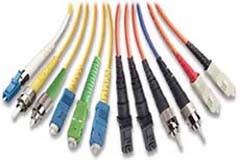 XLPE can be offered as an option (for TFOU cable). Insulation Screen : Semi conducting material and tinned copper wire braid. Outer Sheath : Halogen free thermosetting compound, SHF2 (for TYPE P2), or halogen free mud resistant thermosetting compound, SHF MUD (for TYPE P2/P9),coloured red. Bending Radius :15×OD (during installation); 9×OD (fixed installed).